Former Big Break contestant Elena Robles is a golfer, a model, an aspiring actor. We didn't see much of her on the golf course in 2011 because of a serious illness in her family, but we will be seeing more of her in 2012. First, on a re-launched website, elenarobles.com, which is due within several weeks and will include many new photos, including additional pics from the shoot that included the image above. Something Lani recently did, what she described as "life changing," was jump out of an airplane. Robles went skydiving with the famous U.S. Army "Golden Knights" parachute team, and she's posted a video of the experience on YouTube. 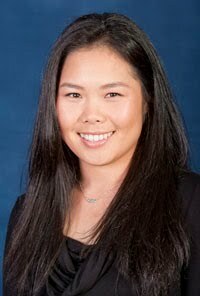 Choe was a stud at the junior level - she won the AJGA Player of the Year Award in 2006. Look at the list of AJGA girls players of the year and it's filled with golfers who've gone on to LPGA success and stardom. Choe seemed to be on that same track after she turned pro at the age of 18. After turning pro in 2007, she got into five Futures Tour events, and finished in the Top 10 in four of them, including a runner-up. But then she started working on swing changes, and, as sometimes happens, she took a few steps back while trying to master the new approach. Not only did Choe miss out on LPGA Q-School in 2008, she didn't even make it through Futures Tour Q-School. She regained Futures Tour status in 2009, and signs of progress came with a victory in the Arizona Women's Open (not a tour event) in 2010. She finished 12th on the Futures Tour money list that year. But now, all Choe's hard work on the new swing is really starting to pay off. Don't be suprised if Choe is finally ready to pick up where she left off all the way back in 2007. Bluebonnets are the state flower of Texas, and every spring they spring up along highways and blanket open fields around the state. But particularly in the Hill Country, which is where Suzanne Haney stopped to take this photo recently. Other places you'll find Suzanne these days: On the big screen, sharing a scene with one of the leads (Brooklyn Decker) of the action movie Battleship; and in her husband's TV series, The Haney Project. Battleship premiered in the UK on April 11 and opens in the USA on May 18, and Suzanne will be attending the American premiere in a couple weeks. As for The Haney Project, Suzanne will be showing up over the final three episodes. In this season, Hank Haney is tutoring Adam Levine, Mario Batali, Angie Everhart and Sugar Ray Leonard. And how is Suzanne's game these days? It's "improving - I have played a lot more and (am) getting over the beginner's hump," she told me. "I can shape some shots now, as well as make a birdie or two. ... It takes getting better to see your potential and now I am getting addicted." But she's not the one getting married. Paula Creamer posted this photo on Twitter with the message, "Going to a wedding tonight!!!" Brittany Lincicome replied with the only appropriate comment: "very beautiful! :-)"
Onetime amateur phenom Carly Booth is the winner of the Dinard Ladies Open on the LET Access Series. Booth claimed victory with a birdie on the first playoff hole, defeating Marion Ricordeau after both had finished on 206. It is, as far as I can determine, Booth's first victory in a professional tournament. She doesn't turn 20 until June. Booth, from Scotland, won her club championship when she was only 11. The women's club championship, not the girls'. Throughout her mid-teens she dominated girls golf in Scotland, winning the Ladies Home Internationals in 2007 and 2009; the Scottish Girls Under-18 championship in 2007-08; and the Scottish Girls Under-21s in 2007. She played on Europe's Junior Ryder Cup team in 2006 and 2008 and on the Great Britain & Ireland Curtis Cup team in 2008. Booth made it through LET Q-School and turned pro at age 17 in early 2010. Since turning pro, her best finish in an LET event to date is 19th place at the 2011 Ladies Scottish Open. The Sadekar Sisters wish you a Happy Masters weekend. Seema (left) and Nisha have slipped into their Masters-green jackets and are hosting a party at Kahunaville, a tropical-themed hotspot inside Treasure Island in Las Vegas. "The exotic drink menu is named after some of the holes at Augusta!" Nisha tells us. " 'Flowering Peach' and 'Carolina Cherry' to name a few!" We hope your Masters weekend is as fun as Seema's and Nisha's. Sun Young Yoo not only is the champion of the 2012 Kraft Nabisco Championship, but judging by the image above she might also be the sock tan champion. Yoo, originally from South Korea and now living in Florida, is known as a fun and funny person off the course. On the course, the KNC victory is her second on the LPGA Tour. She also won the 2012 Sybase Match Play Championship. Her best money list finish to date was 23rd in 2009, but Yoo now is practically guaranteed at bettering that this season. Her win at the KNC followed by a week a runner-up showing in the Kia Classic. Ritsuko Ryu won her second career JLPGA tournament with birdies on three of the last four holes at the 2012 Yamaha Ladies Open. Which I learned by reading the English-language expert on the Japan LPGA, The Contructivist over at Mostly Harmless. So I'll refer you to his post on Ryu's win for more details.